Update: Friday, 8:01 p.m. Kai Degner responded to the comments from Goodlatte campaign manager Dan Webb. Update: Friday, 5:29 p.m. Dan Webb, the campaign manager for Bob Goodlatte, has responded to the Degner report. “Attacking Congressman Goodlatte’s wife for serving in a leadership role for a Sixth District company is inappropriate,” Webb said. “Throughout her entire working career Maryellen has been a superb lawyer above reproach, and partisan smear attacks will not change her record of service. · The Congressman does not own any stock in RGC Resources. As stated on his financial disclosure form, it is stock wholly owned by his spouse, Maryellen Goodlatte. · He does not serve on their Board of Directors. · Maryellen served on the RGC Board long before consideration of the Mountain Valley Piepline. · The Mountain Valley Pipeline does not go through the Sixth District. · FERC, the federal regulator that would approve or reject the proposed pipeline, is an agency that makes its decisions independent of Congress. · And finally, eminent domain decisions for pipeline routes are handled by the Commonwealth, not Congress. “Congressman Goodlatte has been, and will always be, a strong supporter of private property rights. In Congress as a senior member of the Judiciary Committee he helped lead efforts to pass legislation to overturn the disastrous Kelo Supreme Court decision and restore the Founder’s intent regarding private property,” Webb said. 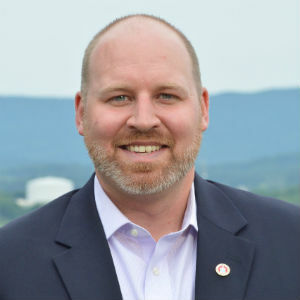 Original Story: Friday, 3:19 p.m. Sixth District Democratic Party congressional nominee Kai Degner released a report today detailing his opponent’s personal financial investment in a company that profits from the proposed Mountain Valley Pipeline. According to publicly available documents on the Federal Election Commissions website and the RGC Resources website, a simple truth emerges: Bob Goodlatte’s biggest personal stock investment is in a Roanoke-based company that profits from the Mountain Valley Pipeline. The facts show that between 2013 and 2015, Bob Goodlatte increased his share in RGC Resources to between $250,000-$500,000. RGC Resources has a direct partnership and 1% investment in the $3.2 Billion Mountain Valley Pipeline project. “If voters knew Bob Goodlatte was investing to profit from eminent domain and pipelines, I believe they would be outraged. Voters deserve to know that Bob Goodlatte has significant investments in a company that can profit from eminent domain used to build the Mountain Valley Pipeline. Mr. Goodlatte is making a bet that FERC will approve the pipeline, and that concerned citizen groups, scientifically-based environmental concerns, and land rights advocates will not be able to stop this project.